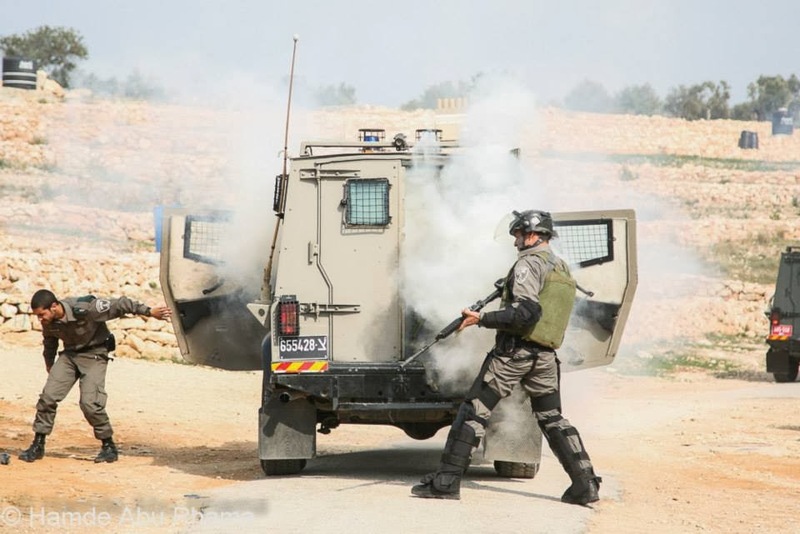 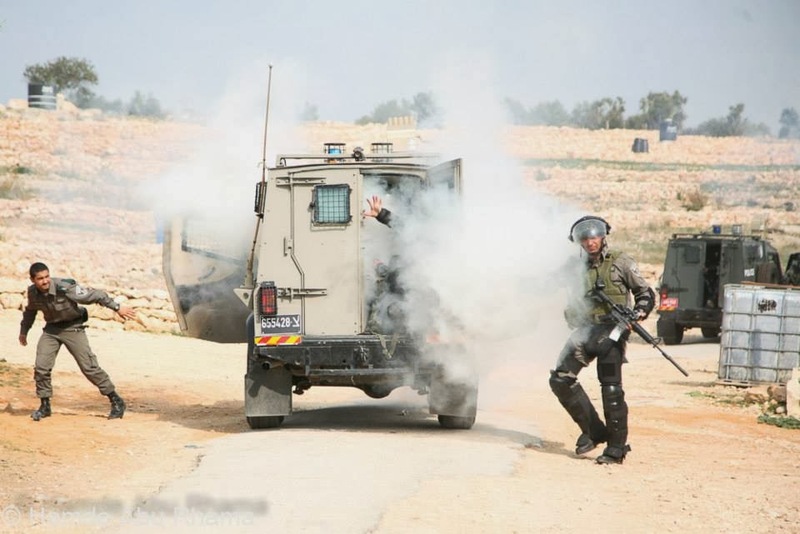 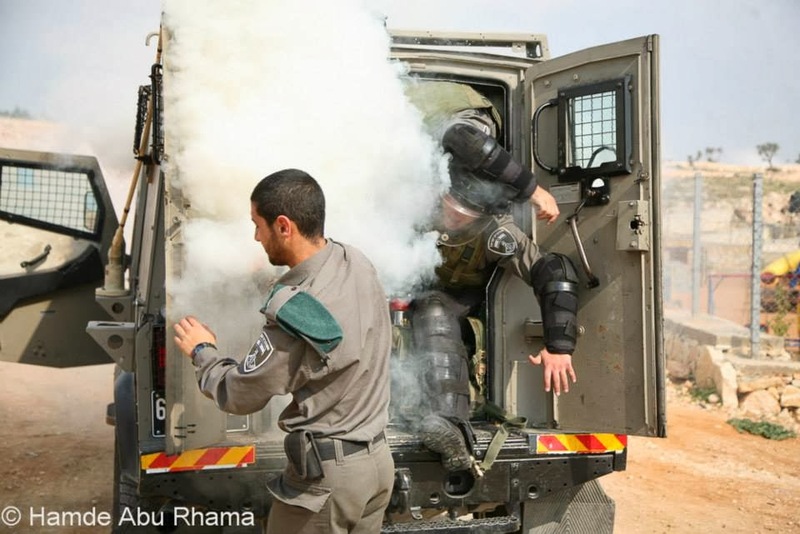 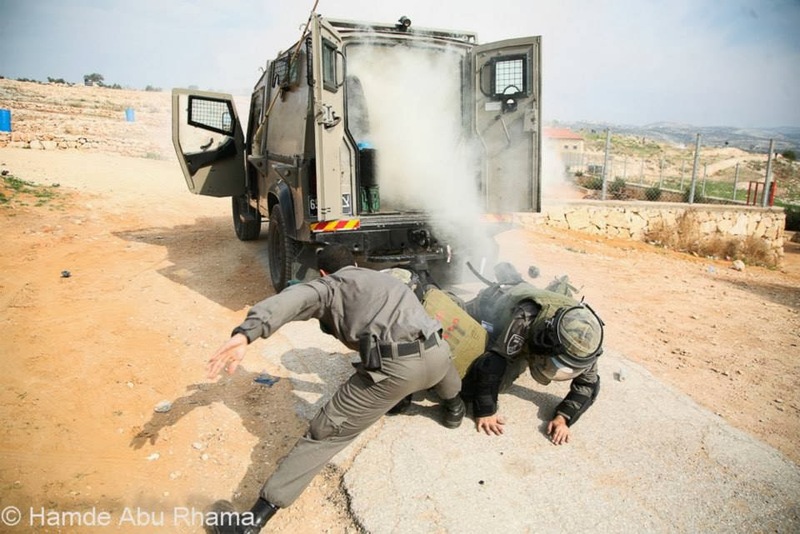 Tear gas is used almost as a matter of course by the Israeli Occupation Forces against Palestinian demonstrations at Bil’in. 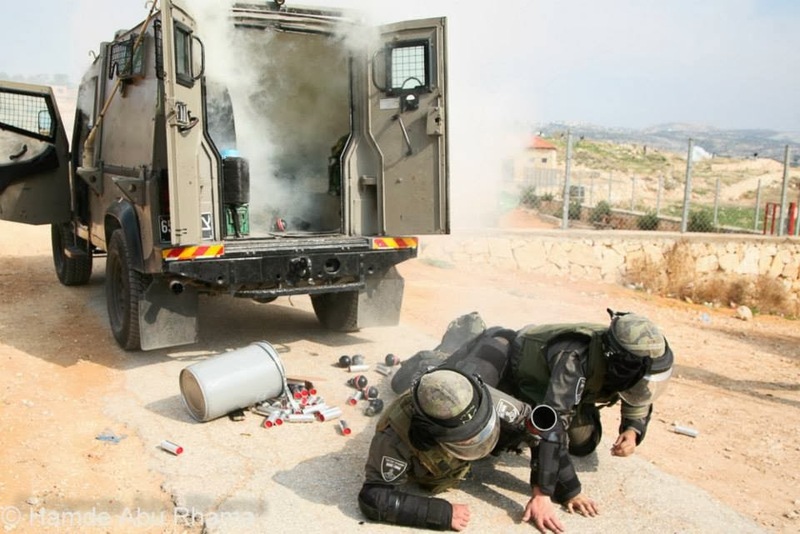 It’s nice to see them tasting their own gas! 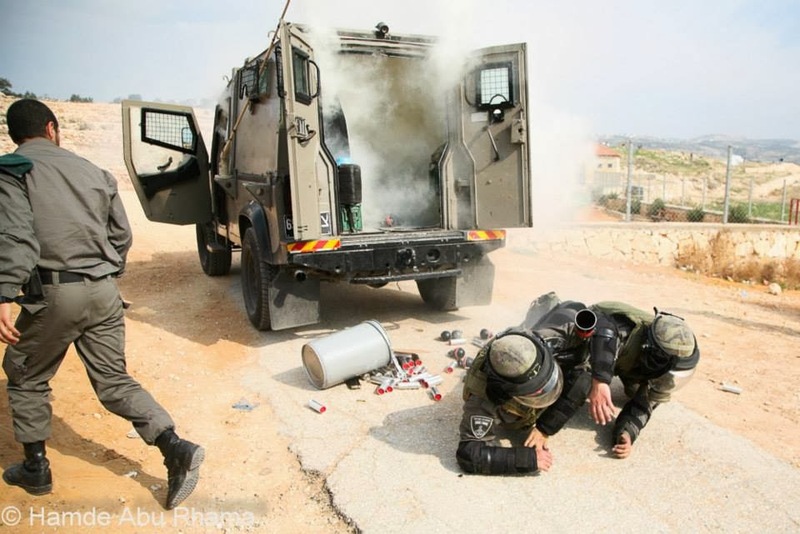 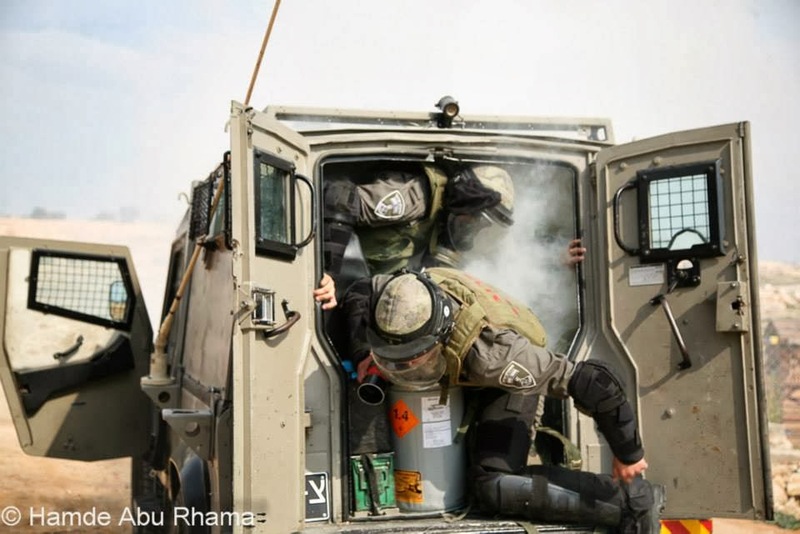 Israeli soldiers quickly evacuate a military jeep after setting off tear gas canisters inside of the vehicle. 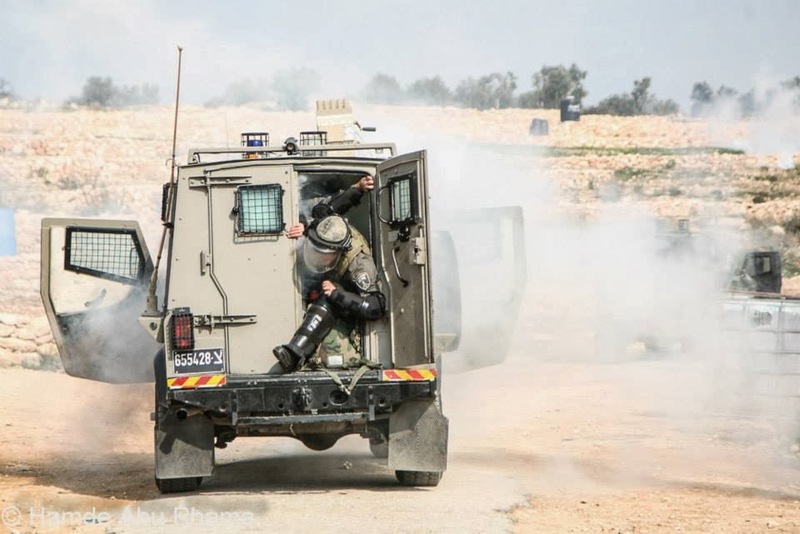 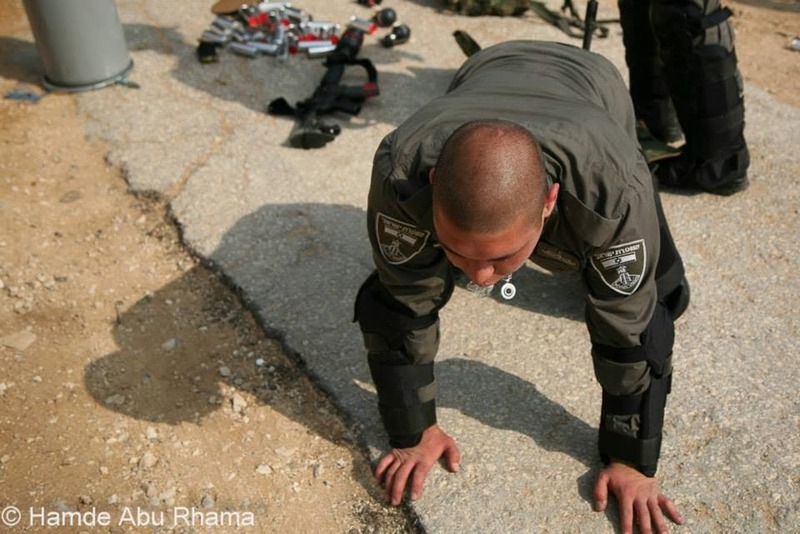 The soldiers had been deployed to confront protesters in the West Bank village of Bil’in where a weekly demonstration against Israel’s barrier wall is held. 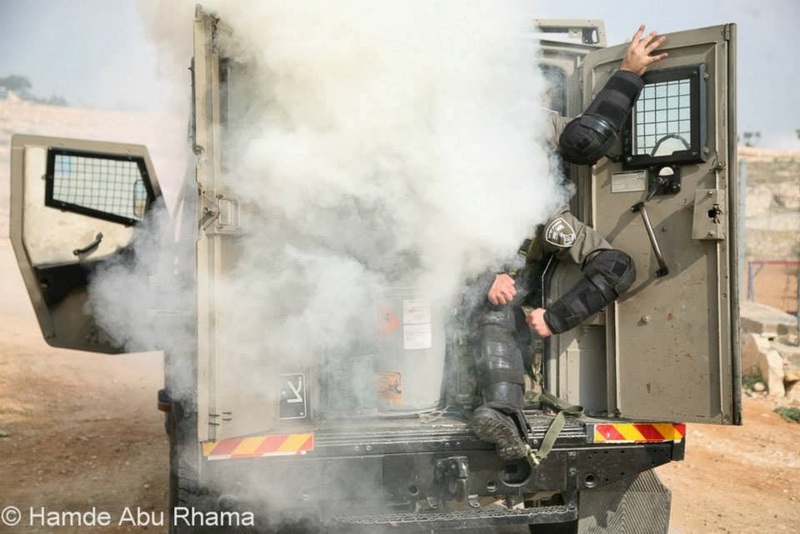 Just moments earlier, the soldiers had been chasing demonstrators and firing tear gas canisters at unarmed protesters with the sole purpose of scattering crowds and prematurely ending the demonstration. 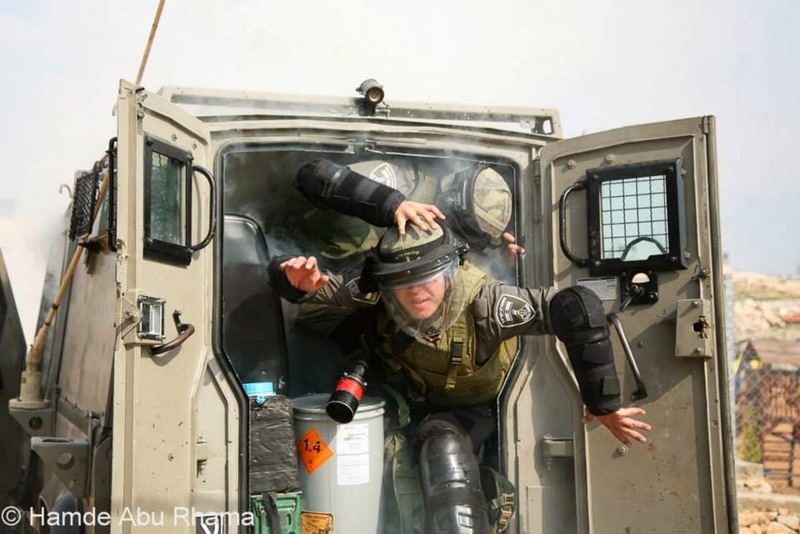 These tear gas canisters have proven to be fatal in recent years. 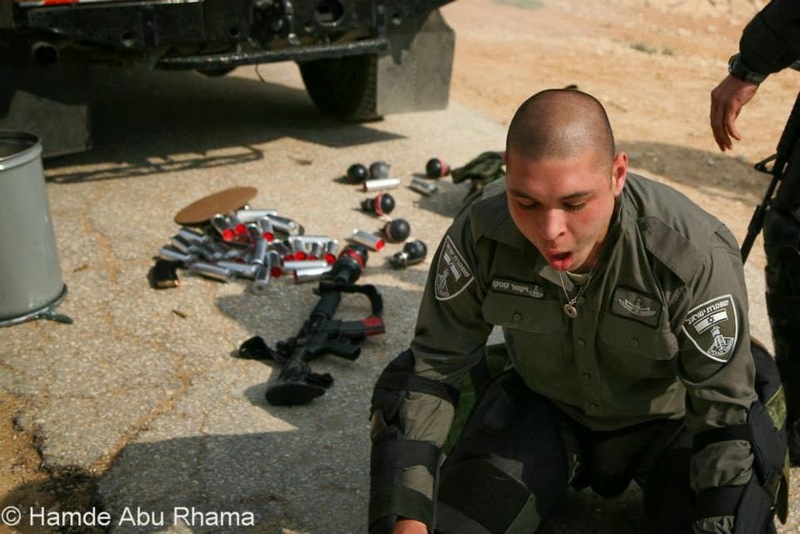 On April 17, 2009, Bassem Abu Rahmeh was fatally struck in the chest by a teargas canister. 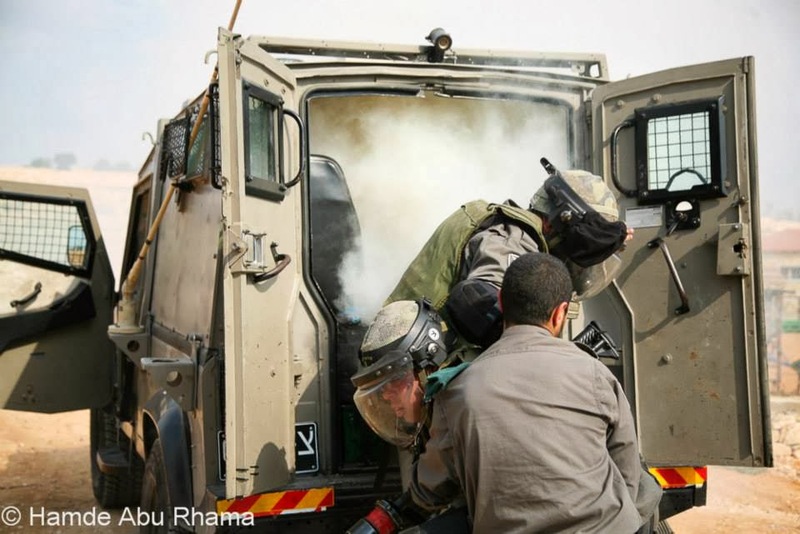 On December 31, 2010, Jawaher Abu Rahmah inhaled the tear gas and failed to respond to treatment, dying the following day. 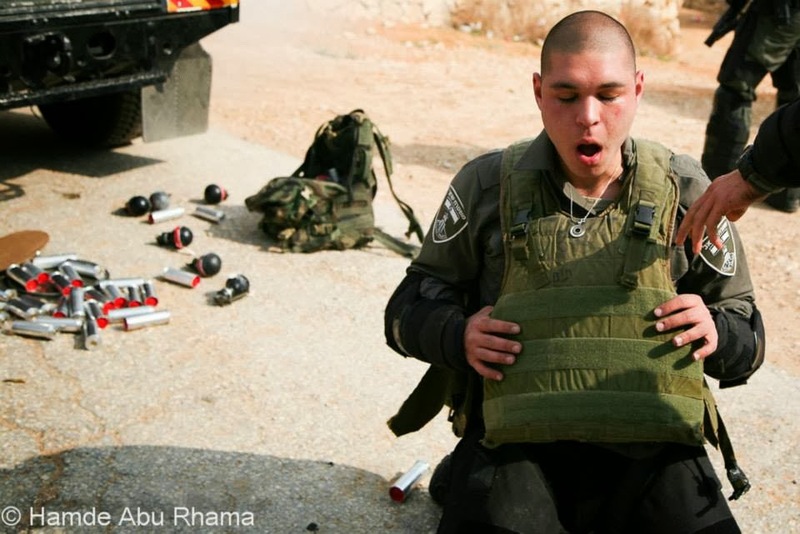 Protests in Bil’in have been organized every week since early 2005.